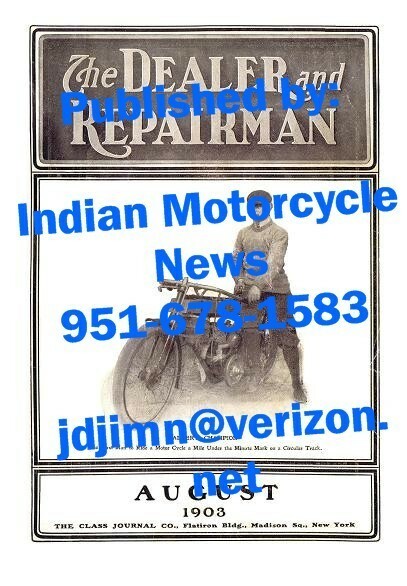 New copy, 1903 Aug. - The Dealer & Repairman - Motorcycle Magazine, 8.5"x 11", 68 pages, 60 photos & illustrations, as clear as the originals, very rare, mint condition. (6) page article - George Wyman on his California - 1.5 h.p. single, is first person to cross America on a motor vehicle in 1903..! Albert Champion - on front cover goes over 60 MPH on a 10 hp V-4 Celment, and much more..!